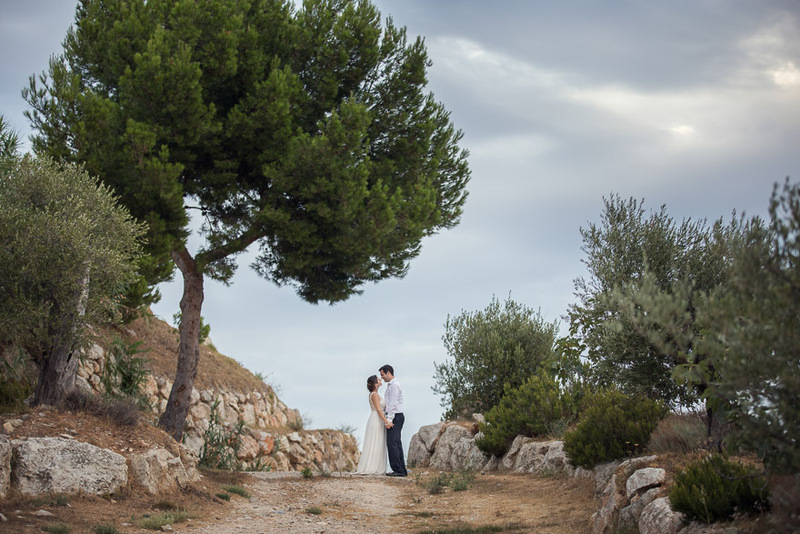 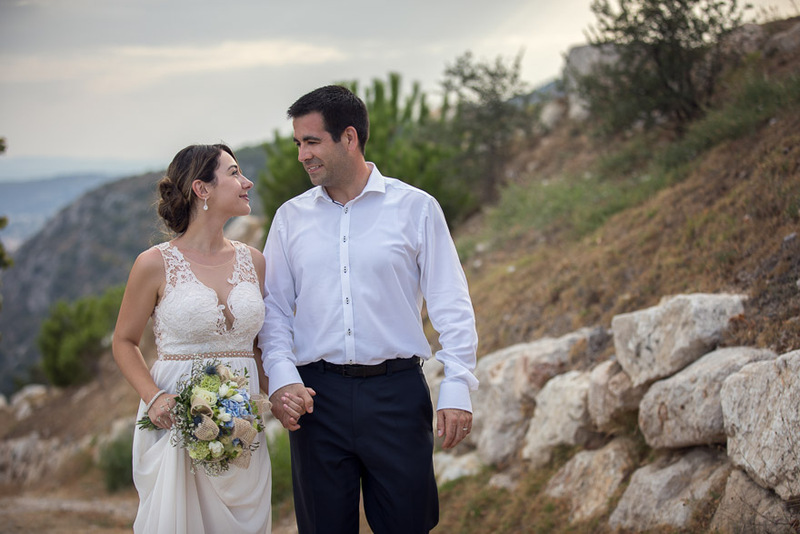 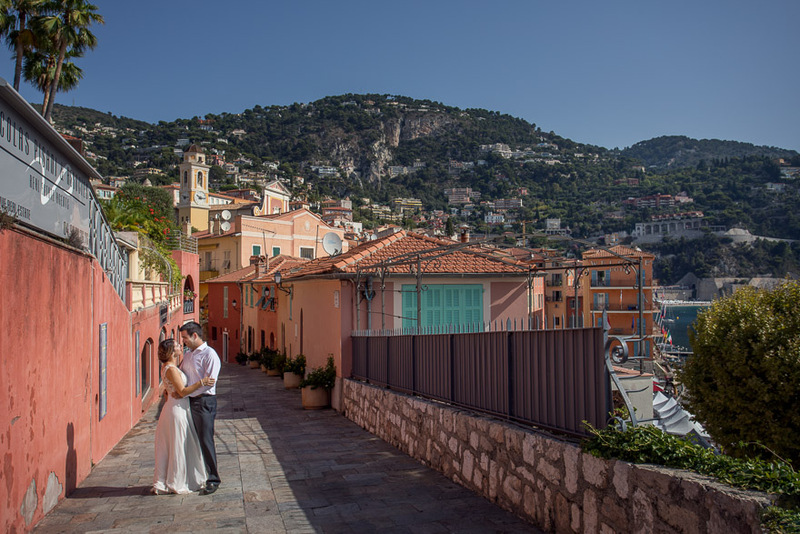 Paula and Brian flew from Toronto, Canada to celebrate their wedding on the French Riviera, close to Nice. 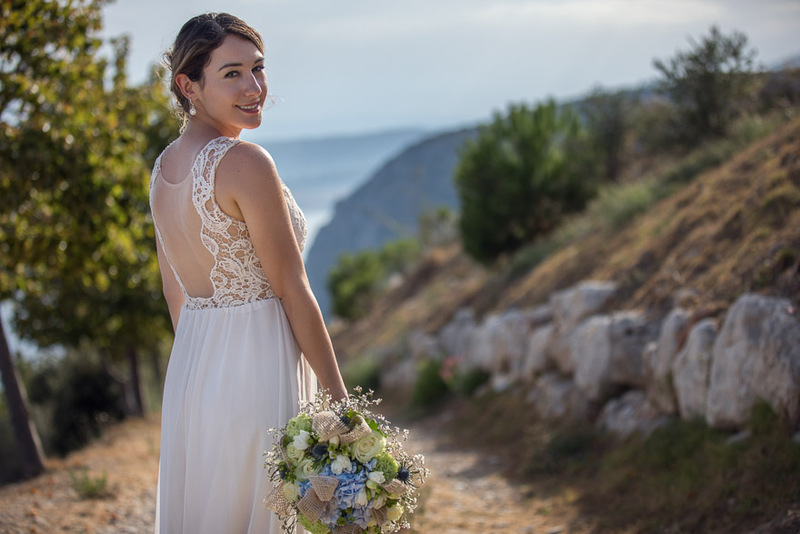 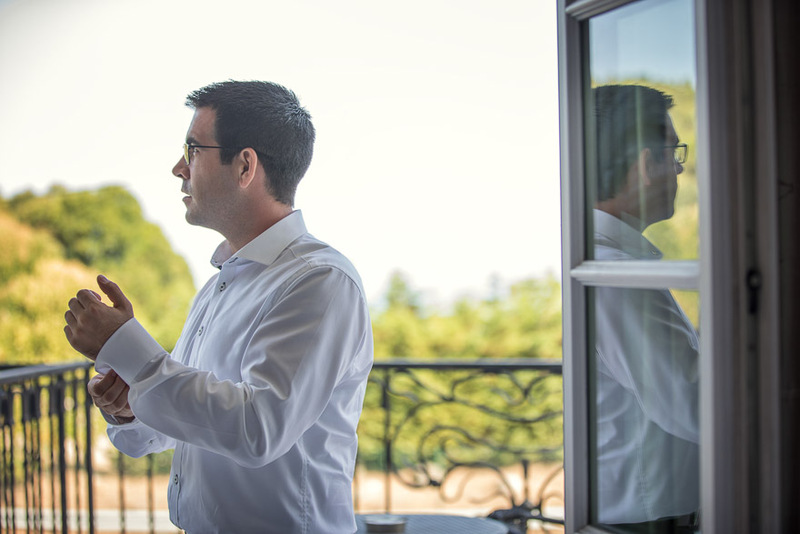 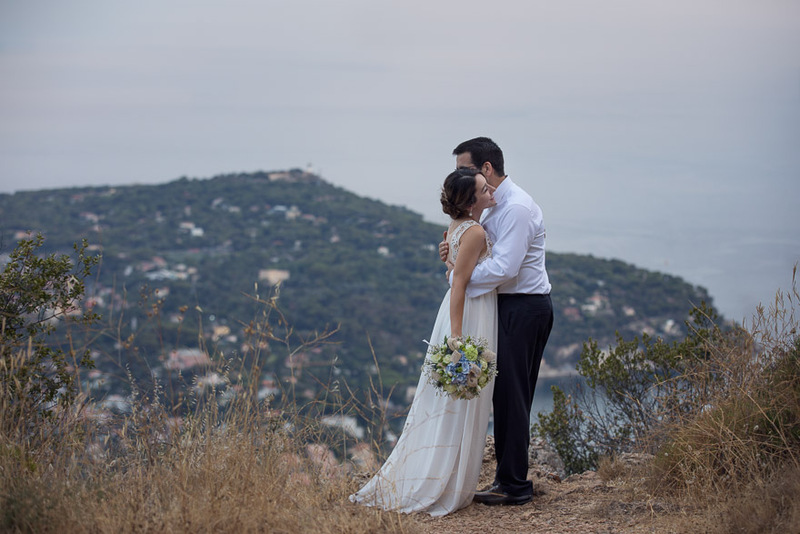 Our task was to make a short elopement wedding film for them, including their wedding vows on the peninsula of Cap Ferrat. 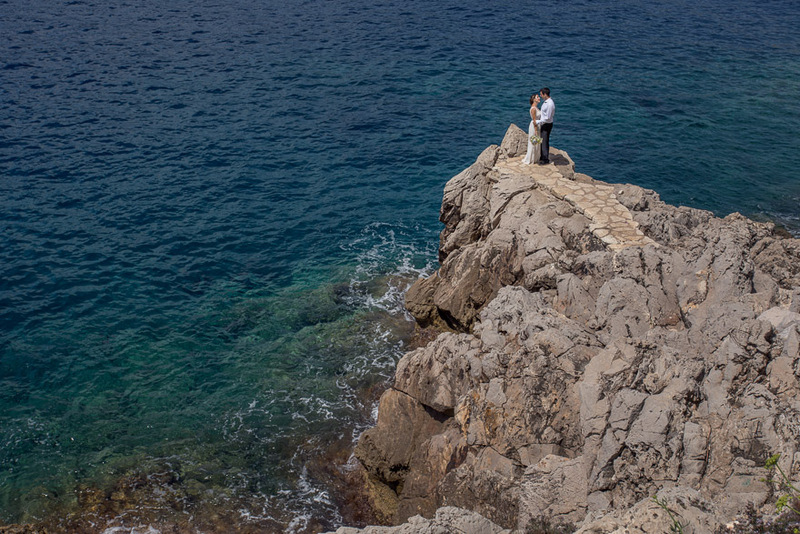 Wedding photography was not our main focus this time, but I also took some photos. 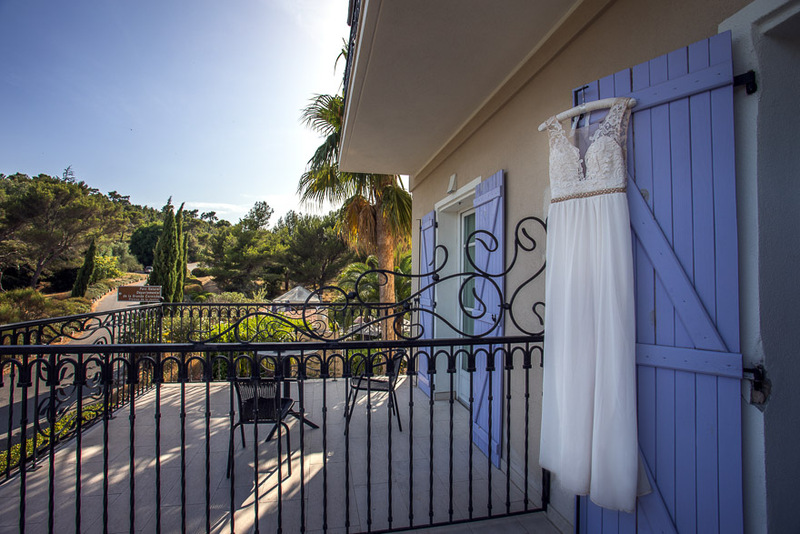 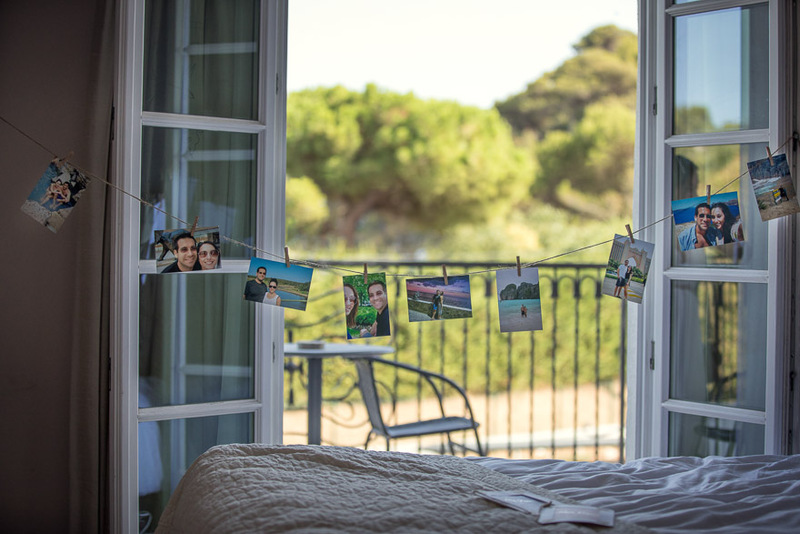 Paula and Brian stayed in the Hermitage Hotel in Éze which has a beautiful medieval village. 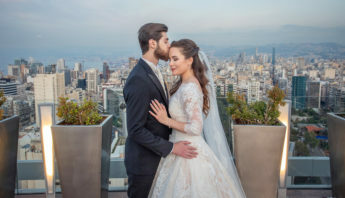 We also recorded their getting ready moments in the hotel. 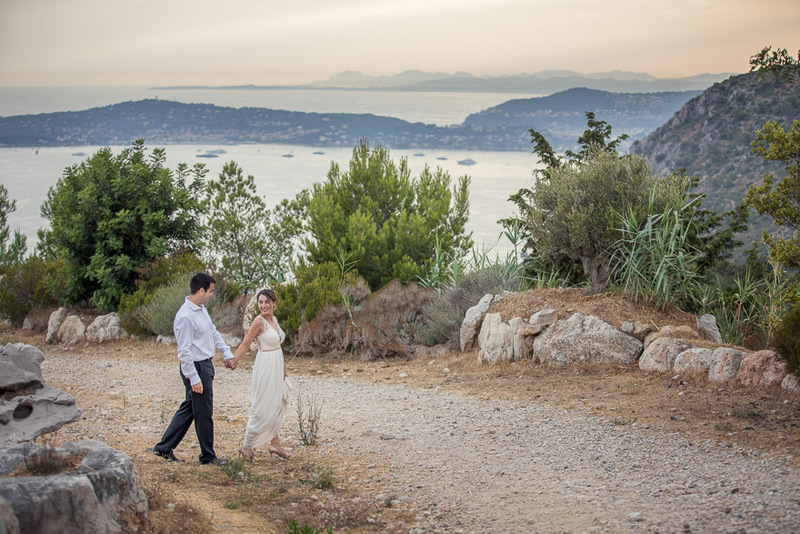 On our first day we just had a short time to shoot before sunset from Plateau Saint-Michel with the view and lights of Cap Ferrat in the background. 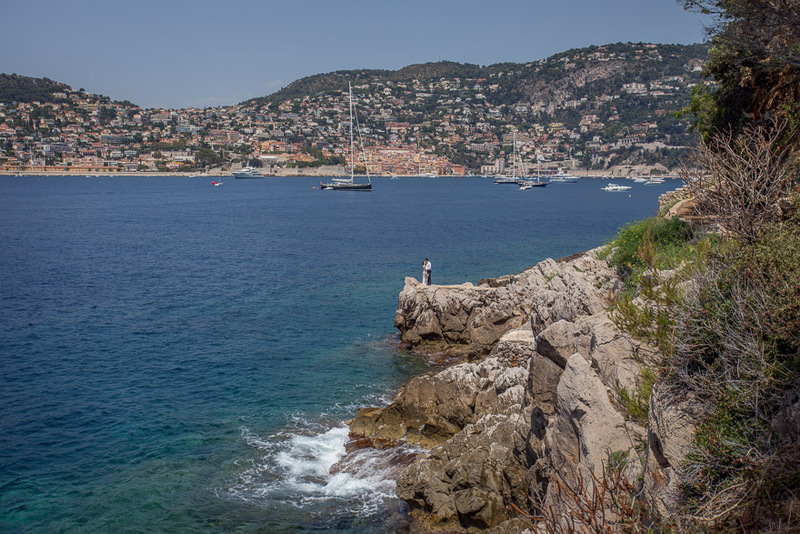 The second day we visited Villefranche-sur-Mer on the Côte d’Azur, which has one of the most beautiful ports in the world. 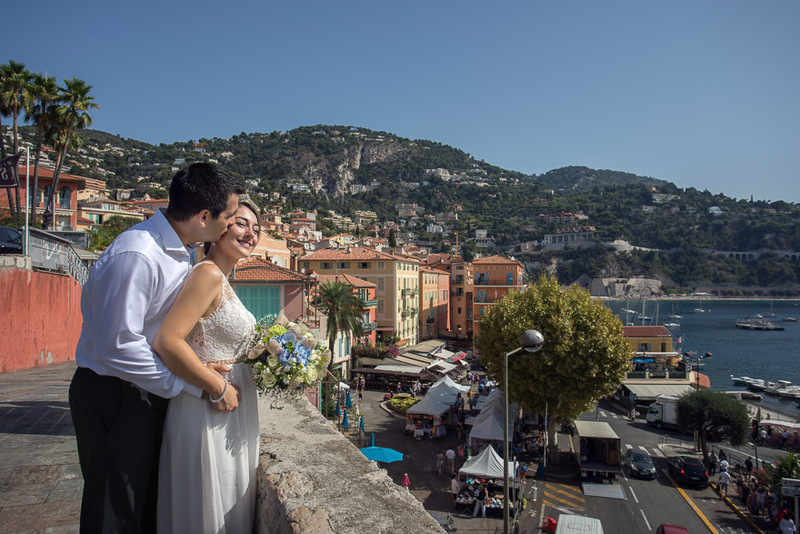 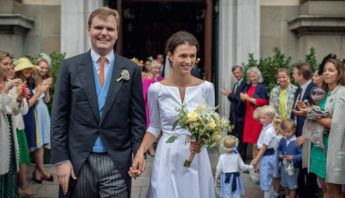 We took wedding film clips and photos in the port and later in the moody streets of the commune. 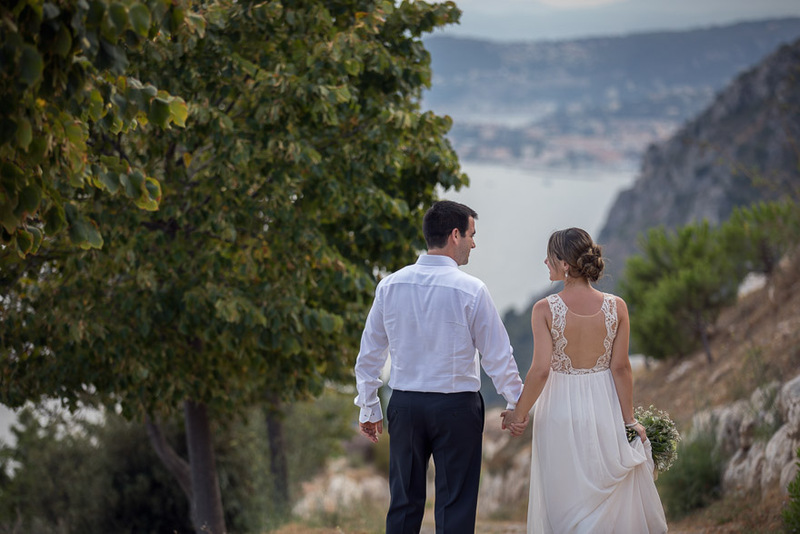 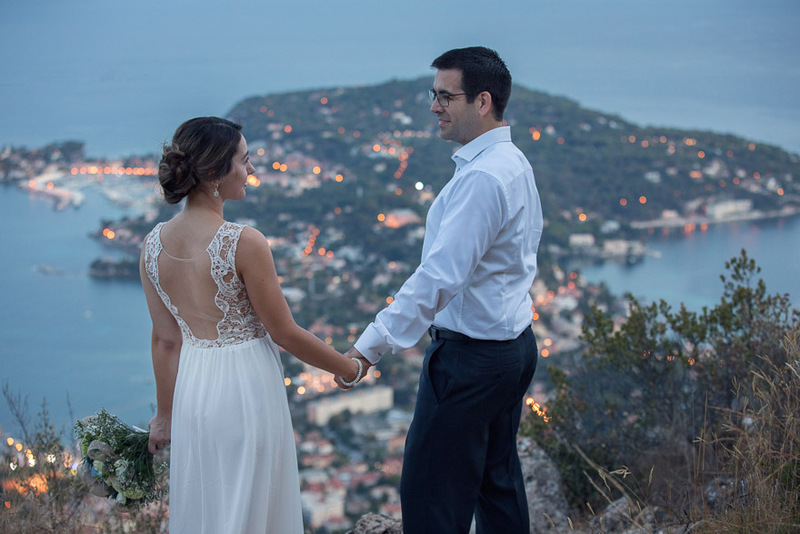 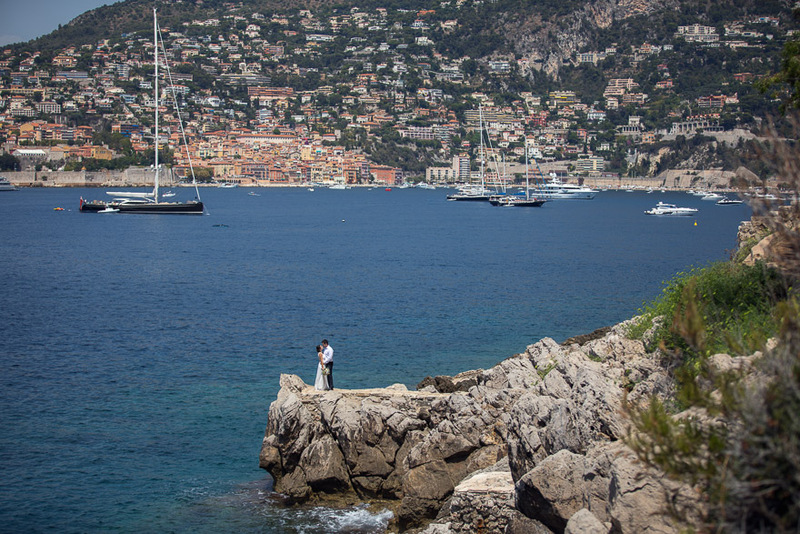 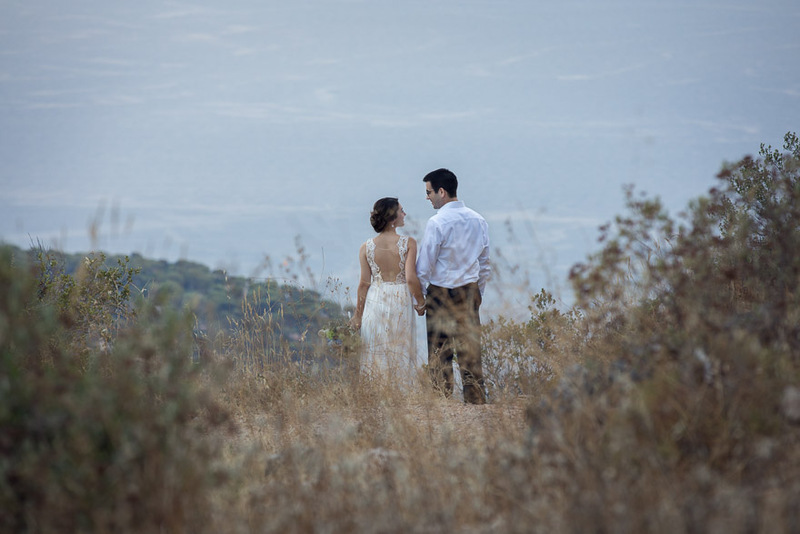 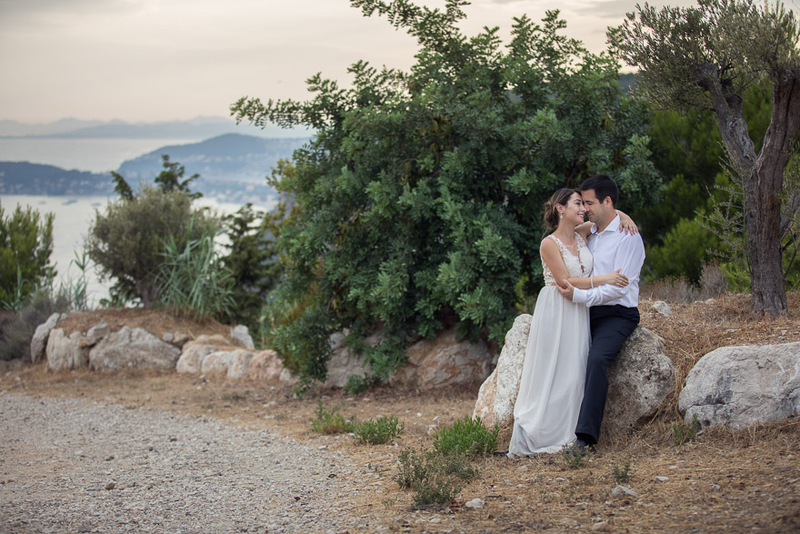 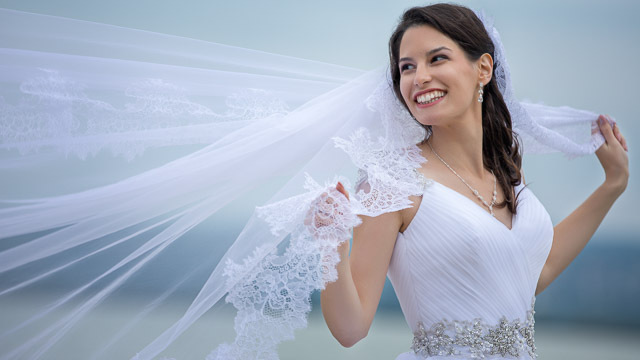 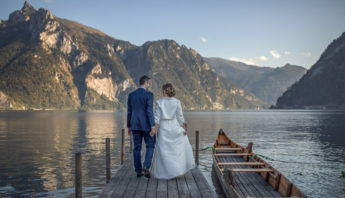 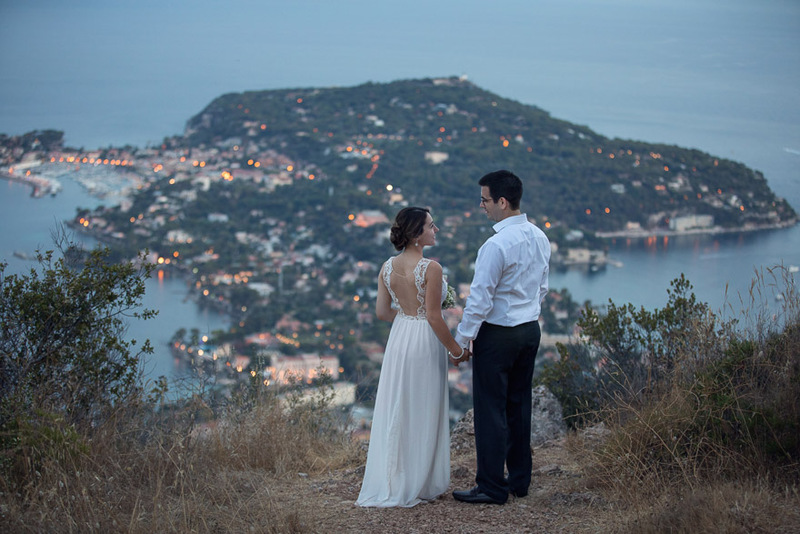 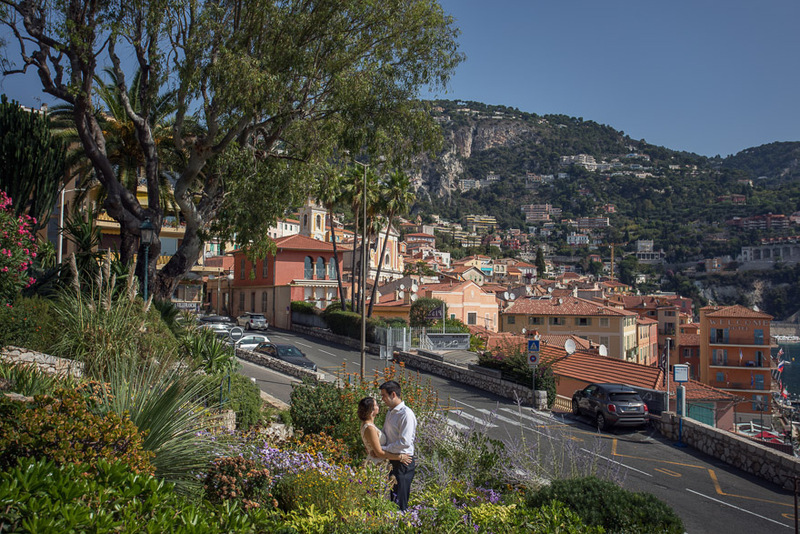 Paula and Brian had their wedding vows and exchanged rings on Cap Ferrat, where the rocks above the sea proved to be a scenic location for a “wedding ceremony”. 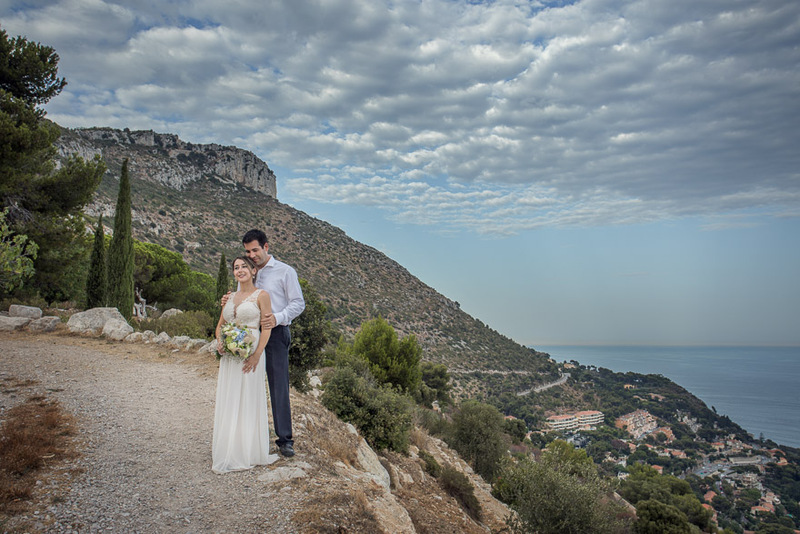 Later in the afternoon we also recorded some video footage and took some wedding photos close to Les Pissarelles, in the vicinity of Monaco. 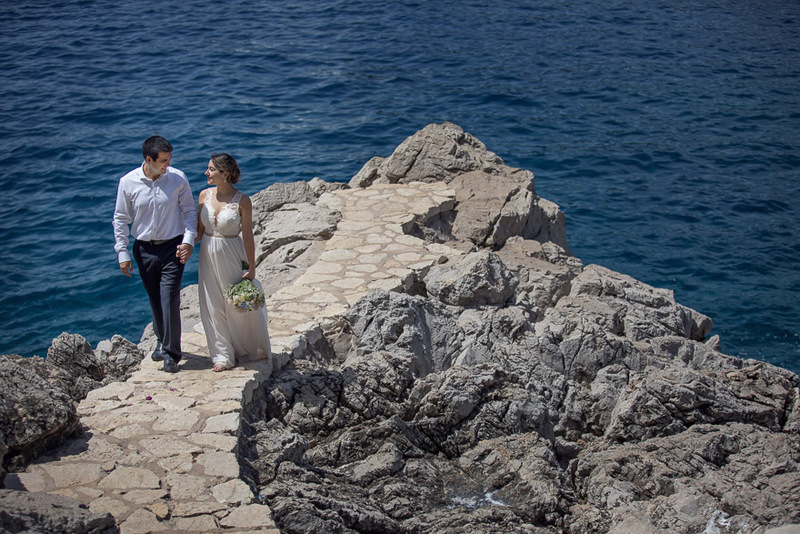 You can also see a selection of wedding images here, however our main focus was to create a spectacular wedding film.